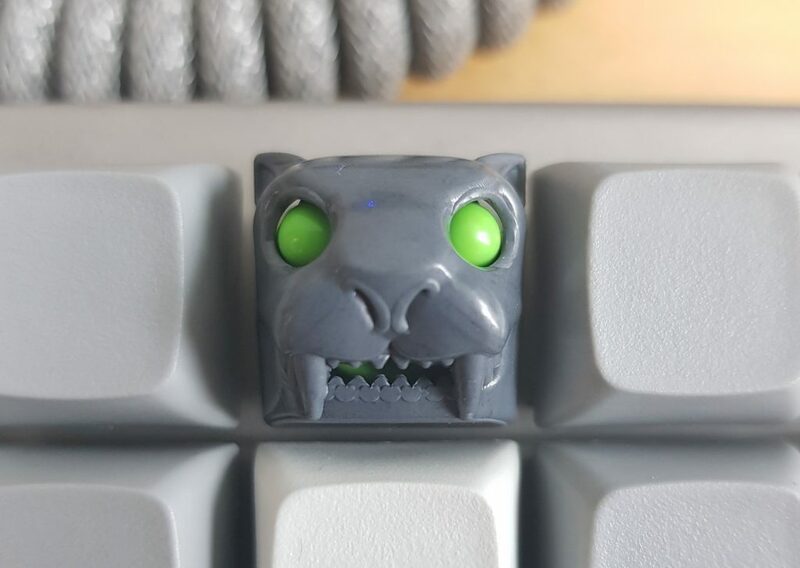 Today I added my first artisan keycap to the collection (well it is the beginning of a collection). 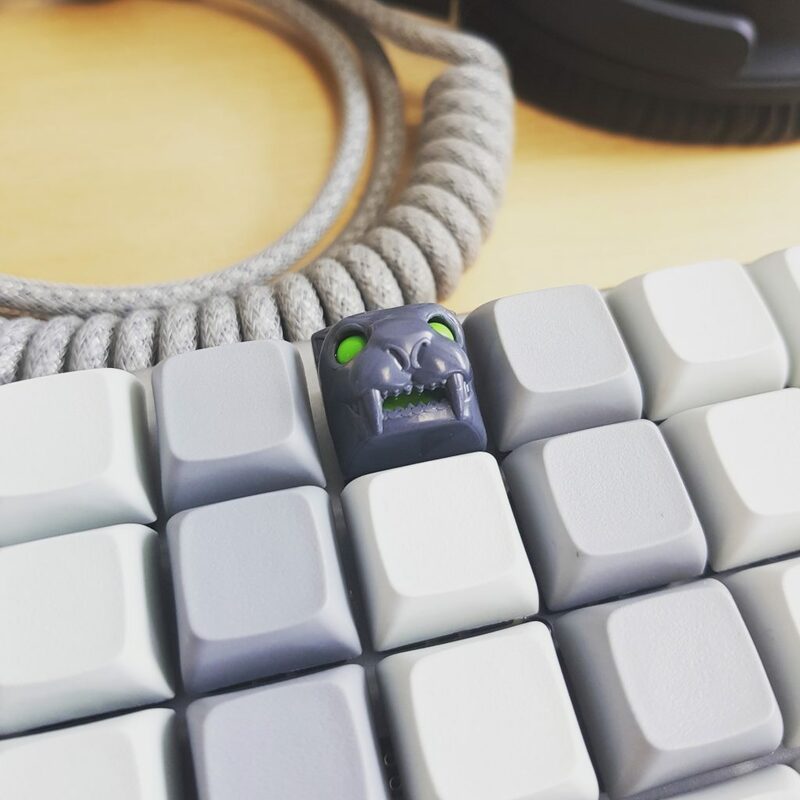 It is the work of /u/Bgnu-Thun from /r/MK fame and it is called the Thabertooth. Only 50 are available in the world in this color combination so it is a nice little collectors item. If you are fast you can still get your hands on one of the last in this series of artisan keycaps (right now only the chocolate colorway is left). What is an artisan keycap? What is this you ask? Look at this as small pieces of artwork that keyboard enthusiasts create in limited numbers. Each little artwork is made to match some colorway for a keycap set or some theme (mostly movies, games and similar). 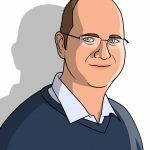 Some are very detailed and some are quite simple – Some are made in quite a large number and others are only available as one or two total in the world. Introduction price on the market is usually somewhere between $20 and $100, but the aftermarket prices easily raise to above $200/pc and some are even gone as high as $500/pc. In my case I started “cheap” with a keycap for just $25 but I have a few more in the price range of $40-45 coming in the mail.